Washington Post associate editor Bob Woodward says he’s prepared to share the source material for any person he covered in his new book if they announce that he may do so. 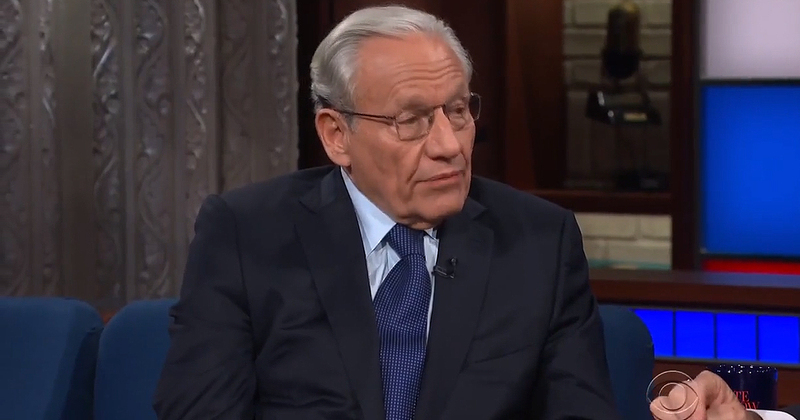 Woodward has been doing a lot of interviews lately in order to promote Fear, his bombshell-filled book about the recurring state of chaos within the Trump Administration. While speaking to Hugh Hewitt on Friday, Woodward told the conservative radio host that he’ll release the tapes and supplementary material he collected from any source mentioned in his book who says they’re ready to be put on the record. Seems to me anyone suspected of talking to @realBobWoodward who didn’t talk to him will call on the author to release the tapes. Woodward committed to me to do so on air. If no tape appears, the requester will be off the @realDonaldTrump list of suspected leakers. Trumpworld has lambasted Woodward for the last few days since the president has attacked the book while his cabinet has insisted that they did not say the disparaging quotes attributed to themselves. Woodward is standing by his reporting while saying that those who deny saying the quotes he has from them in his book are only doing so for their own political survival.